Home / Adviart Blog / Do what you love, and the rest will fall into place. Do what you love, and the rest will fall into place. 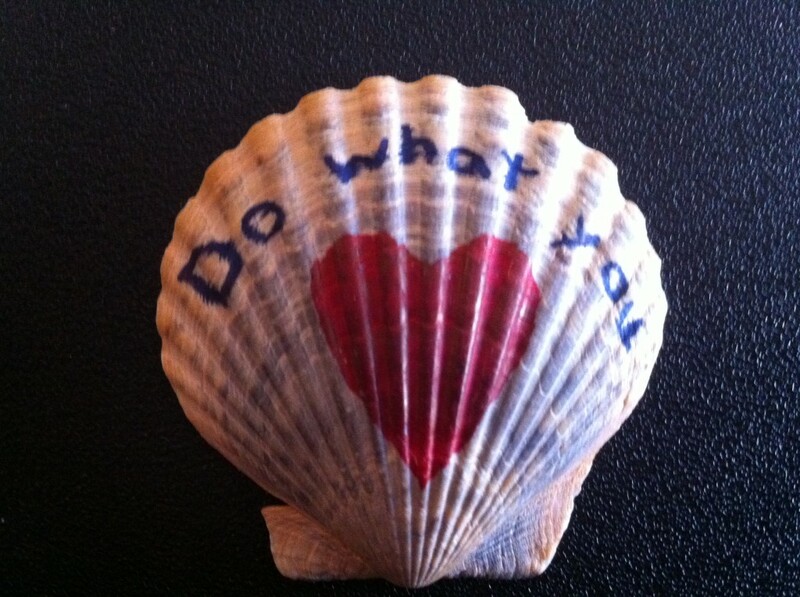 This adviarter picked a shell and decided to decorate both sides of it (stressing the point that picking up the shell and being reminded of the advice was a tactile endeavor). 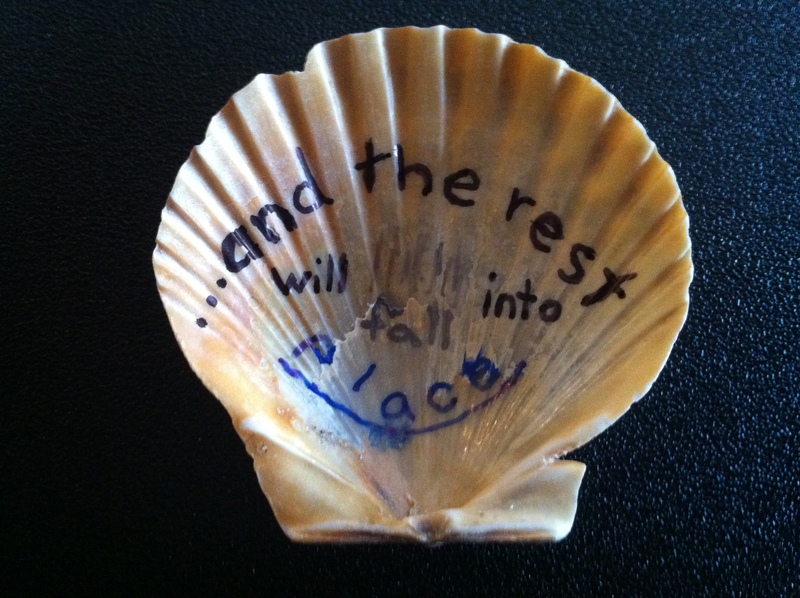 The full span of both sides of the shell utilized–blue for the words and red for the heart on the front. Black and blue utilized on the back for “and the rest will fall into place.” There is a mix of words and art on this shell. There is also a play on words on the back with the fall in place being on a falling angle. How can we figure out what we love to do? The advice is direct and actionable but easier said then done. Is it by knowing self that we find out what we love? The hope behind “the rest will fall into place” is comforting–noting a clear tendency to focus on the fact that things happen for a reason. The question is how do we “do what we love”?